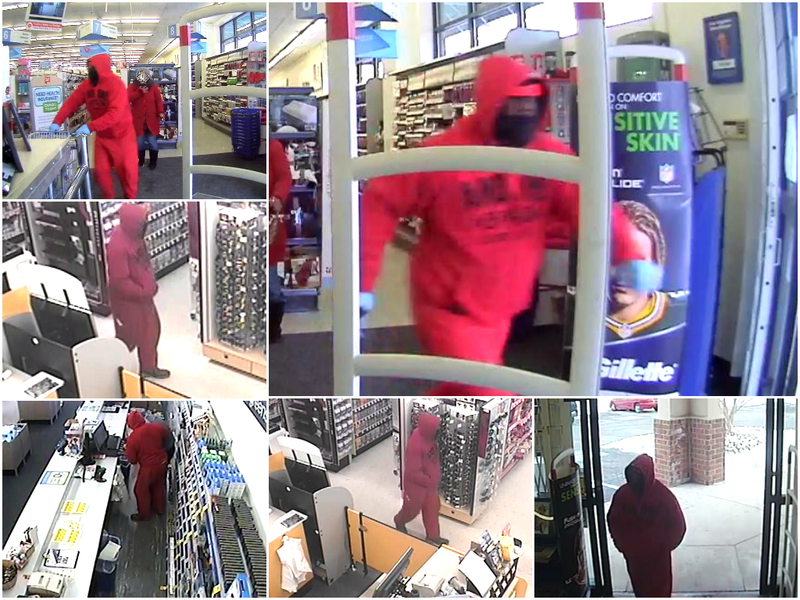 Narrative: Surveillance photos of the suspect have been retrieved from Walgreen’s and released to the public. Click on images to enlarge. Suspect Description: Black Male, Medium Complexion, 5’9″-6’0″, red hooded sweatshirt and red sweatpants with an unknown brand of hiking shoes/boots.